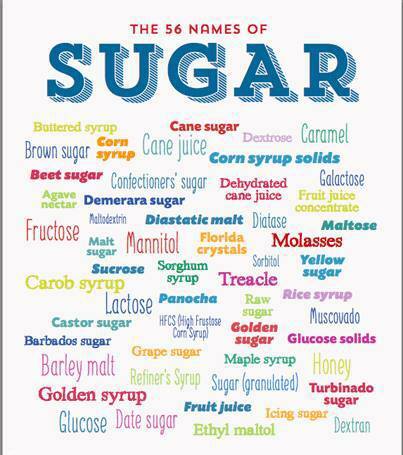 How many names of sugar do you know? You’ll be surprised to know there are 56 types! I knew quite a lot of them, but of course not all as not all of them are common. The healthier sugars are in the form of honey, maple syrup and of course fruits. White sugar is probably the worst, albeit the most popular. On another note, I used to have my coffee with two teaspoons of sugar. Although I still can’t stand it bitter, I now add just less than 1 teaspoon of sugar, just so the coffee isn’t too bitter for my taste. As for green tea and anise tea, I now take them without any sugar at all (that’s an accomplishment!) while, just like coffee, I still add a teaspoon of sugar to my black tea. Do you know any other names of sugar? Please mention them in the comments section!